I love the cover art. I'm a sucker for a green-pink color combo. That's a pretty cover. I've seen this in NetGalley but I haven't had a chance to view it. It sounds terrific. 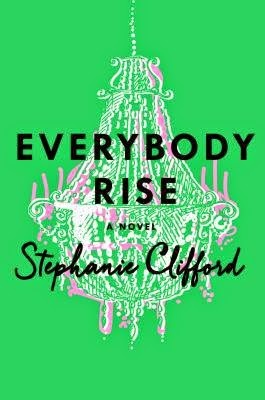 Every Rise is on my list as well. Love the cover. Love the premise. This promises to be a great summer read. Sounds interesting. I agree with Ashley, it sounds like a good beach read. Sounds interesting and timely. Hope you enjoy! We've got an advanced readers copy of that in the box for our booksellers. No one seems to have picked it up yet. If you want it, let me know and I can send it to you! This sounds GOOD. And seems like it'd be a great book-to-movie adaption. I love the cover, too! Don't read a whole lot of adult fic, but I'd definitely read this! I can't help but love books about the social class elitist of New York! The books are always so full of drama! This sounds like a great book - good pick! Thanks for sharing! This sounds good and I really love the cover! Enjoy reading!